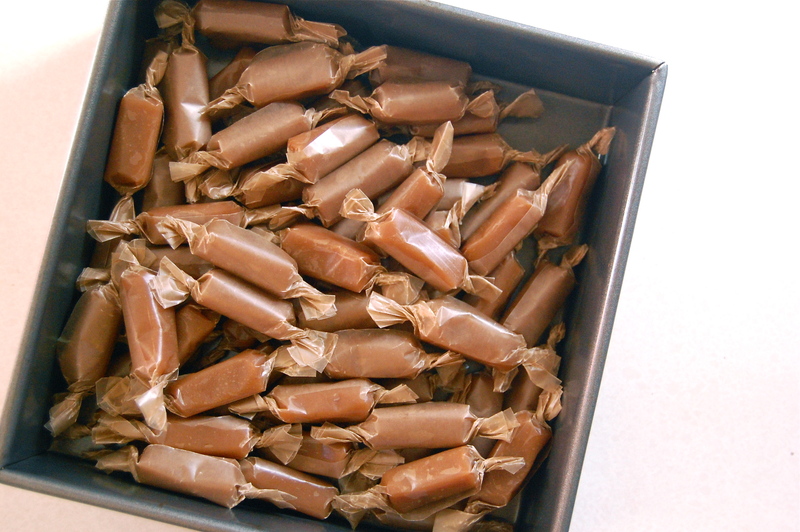 Salted Creme Fraiche Caramels! | I made that! I am SO making these miss Brandi. mmmmm. will you bring some for us next month? In Spokane, we don’t seem to have creme fraiche (too many accent marks for our side of the state? Not sure). 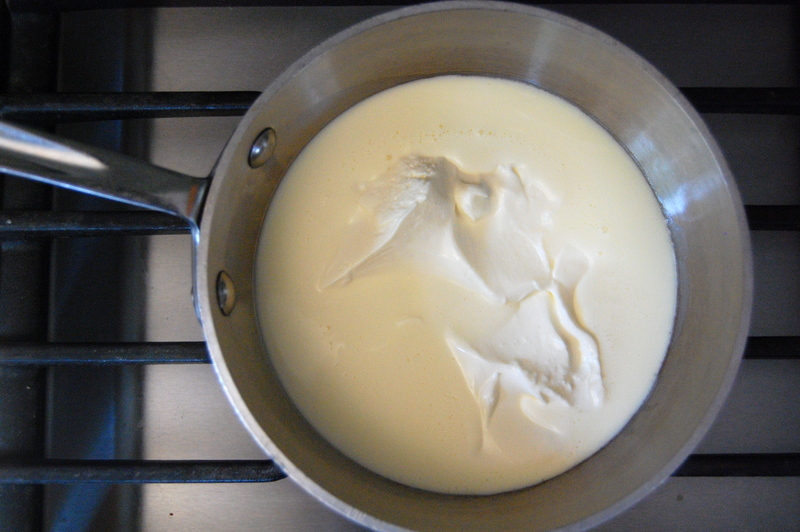 🙂 I made my own by adding 3 Tbsp of buttermilk to 2 cups of heavy cream, let it sit out on the counter for 8-10 hours, then stuck it in the fridge. It was glorious. 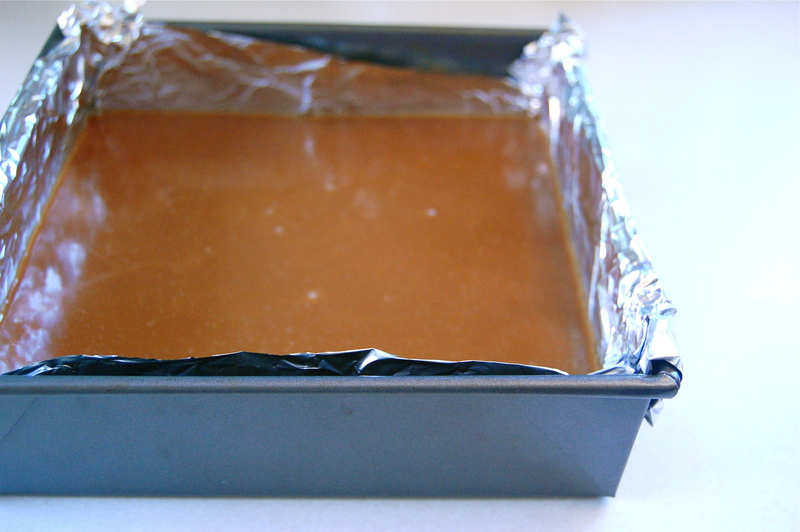 1 Tbsp salt plus 2 tsp salt made for VERY salty caramels. 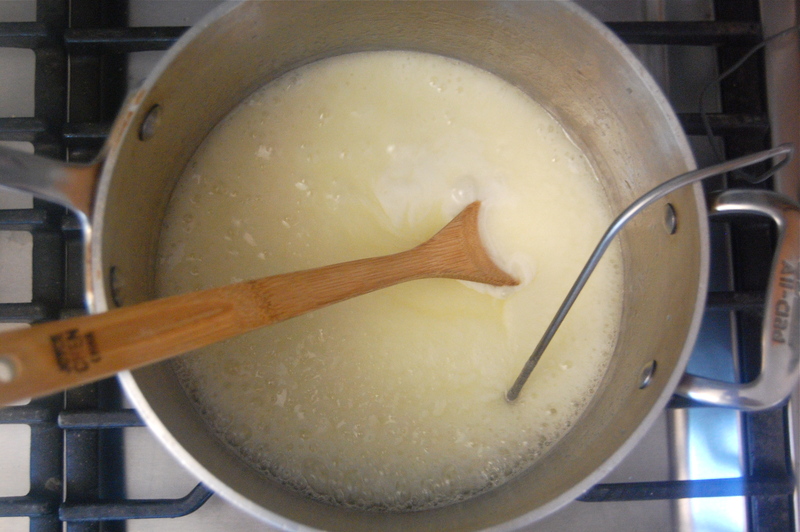 I’ve tried a second batch with only 2tsp of salt, which seems to be just about right. (Maybe we’re not very salty over here, too? Not sure about that, either). I guess unless you saw my face, you wouldn’t understand how miserable I feel & look after seeing this post. 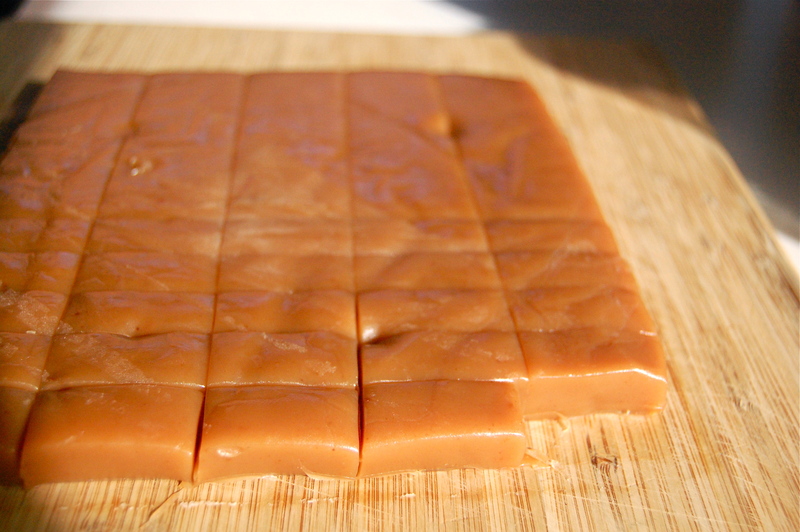 Mouth watering doesn’t even come close to the beautiful picture of those nicely cut caramel cubes. You WOWED me! Keep it up! Oh! When I try these, can I cut back on the salt (a pinch instead of 1 Tbsp +..) or not use it at all? or is it going to ruin the recipe? These look amazing. I wonder how holding more of the salt from the recipe, then sprinkling the tops with a really coarse sea salt would work? Those look delicious. I buy my caramels from the Cheese Cellar in downtown Seattle. They get them from the guy that sells them at the Ballard Farmers Market. A little expensive, but so worth it. Oh man, I am SO making these. I just discovered your blog, by the way and I’m bookmarking just about everything to make 😛 I only wish I hadn’t discovered it at work, I’m definitely not giving 100% today.